I’ve finally gotten around to posting this recipe that’s been sitting in my note book for ages and. 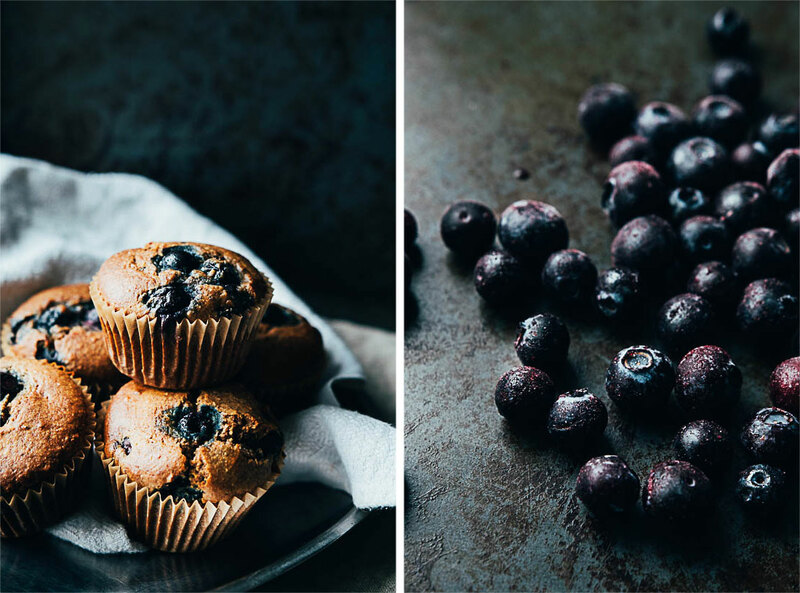 These photos were taken some time last year and I’m not sure why it’s taken me so long to share these utterly delicious blueberry tahini muffins with you. Before I dive into what’s so fantastic about the muffins I thought I’d update you guys on where I am and where I’m going next. At the moment Rob and I are sitting at our AirBnb in Copenhagen both tapping away at our laptops. We’ve had a great time here in Denmark and the city has been much more vegan friendly than we thought. This offered me the chance prepare another city guide to share all my favourite Copenhagen spots as well as some tips and tricks so stay tuned for that. We’ve experienced all weathers since we got here in April including hail, sleet and gorgeously warm sunshine. Spring is finally here and we were preparing ourselves to spend the summer in Berlin until we had some issues with our flat and the plan fell through. To make a long story short we panicked and weren’t sure quite what to do but decided in the end to try something we’ve been thinking about doing since last summer; moving to the Swedish countryside. Ones we made the decision to look for a house to rent everything seemed to just fall into place and now, a couple of weeks after panic mode, we are with house in the Swedish south. I’m excited and nervous and all the other feelings that come with committing to something completely different from what you’re used to. We are going to be in one place for more or less a year, we’re going to have a fixed place to call home and it’s going to be in a field with none of the city life we’re used to (obviously). I’m excited to take you along this new adventure with me and am also hoping that being in the same place for longer than a month at a time will allow me to really focus in on sharing more content with you; meaning more delicious recipes, thoughts and now some country living. Exciting times. Preheat oven to 175 degrees celsius and grease a muffin tin or place muffin molds onto a baking tray. Combine water and ground flaxseed for the flax egg and set aside to gel. In the meantime mash a banana in a mixing bowl and then mix in the remaining wet ingredients, except for the blueberries. Mix all the dry ingredients well in a separate mixing bowl. Whisk the wet ingredients into the dry and once that is combined add the flax egg and make sure it is evenly mixed in. Add half a cup of blueberries and fold into the batter before distributing into the muffin tray or molds. 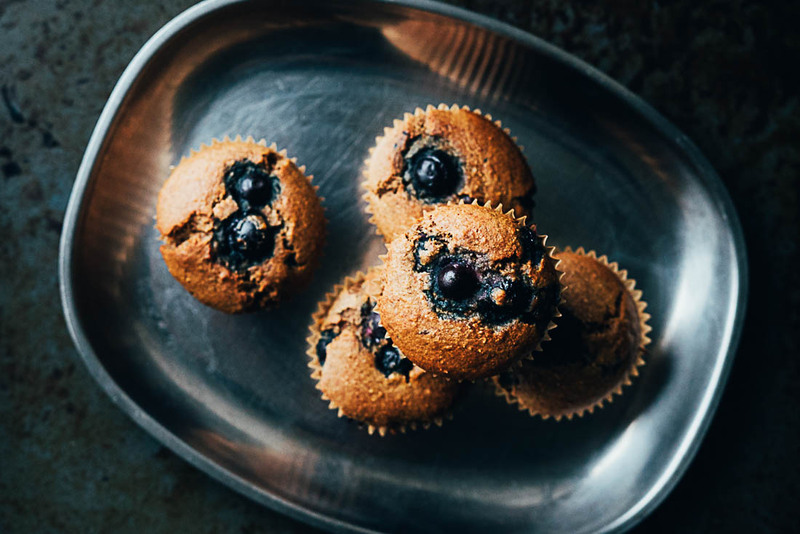 Place the remaining blueberries on top of the muffins and lightly press them in. Bake for 20-25 minutes or until a knife comes out dry after sticking it into the middle of a muffin. Let cool for a bit and enjoy warm! Hi! Can I use nut butter insted of tahini? Tahini and blueberries- I couldn’t think of a better combination! Kitchen is currently under reno now but I’ve bookmarked this page and will be trying these out as soon as it’s over! PS- I’m only slightly jealous of the fact that you get to live in the Swedish countryside!! I look forward to reading your stories and seeing your beautiful photography of life among nature. Gotta love the bookmarking tool and very glad to hear that you want to give the recipe a go. When you do I wish you all the yummiest muffin times! This muffin looks exactly what I needed to bake. I don’t have brown rice flour though. 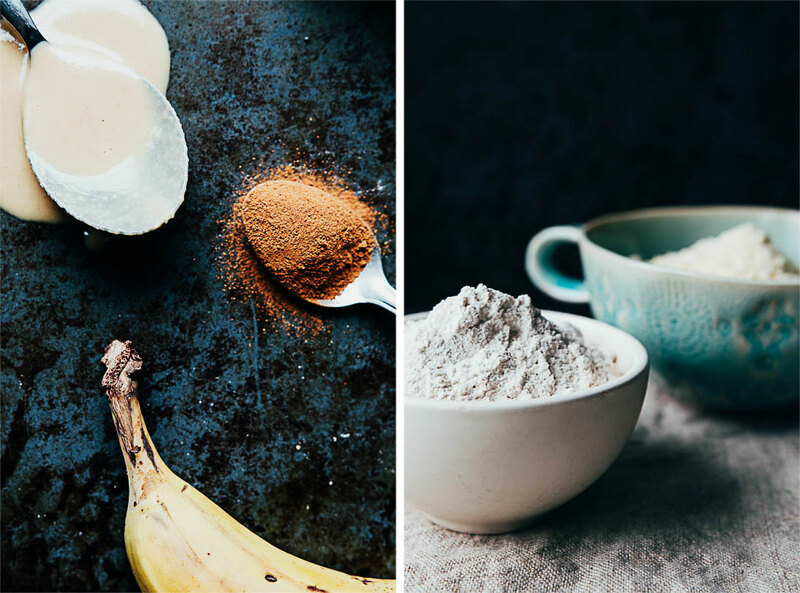 Could I substitute that with coconut flour or oatmeal flour? I ended up using spelt flour instead and since I don’t have gluten intolerance, it was fine. The muffin turned out fabulous. It was sweet, nutty and bursting with flavour. 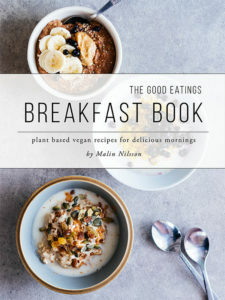 Thanks for the recipe Malin!